Two struggling musicians witness a murder and try to find a way out of the city before they’re found and killed by the mob. The only job going is one in an all-girl band, so they disguise themselves as women. In addition to the trouble of being men in hiding, further complications occur when one falls for another member of the band and the other has a rich suitor who won’t take ‘no’ for an answer. 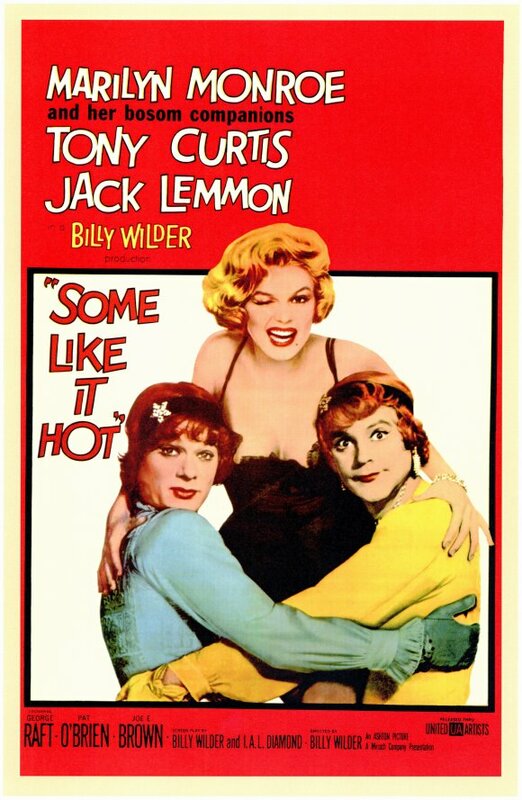 This film is most noted for its director, the great Billy Wilder (The Apartment, One, Two, Three, Double Indemnity, Sunset Boulevard) and its cast, Jack Lemmon, Tony Curtis and the iconic Marilyn Monroe. Fun to watch on a big screen, this is a good choice for a weekend matinee.